The ripple effects of the South Korean Hanjin Shipping Co. Ltd bankruptcy are being felt across the globe. As Korea’s biggest shipping group and the world’s 7th largest, they has 230 branch offices in 60 different countries and a fleet of more than 140 container ships which transported over 100 million tons of cargo annually. Hanjin’s collapse has left much of its fleet stranded at sea because ports say they will not accept them without assurance that the port-fees will be paid – in addition to the fact that creditors worldwide are seeking to seize their ships. Bankruptcy is an important part of a the free market system. However, in the case of a company doing business internationally things can get sticky, as they certainly have for Hanjin. The United Nations Commission on International Trade Law, or UNCITRAL, was established in 1966 by the General Assembly in an effort to play a more active role in reducing or removing the obstacles that occur through disparities in national laws that govern international trade. There are 156 nations or jurisdictions that are members of UNCITRAL, including the United States. In July of 2009 UNCITRAL adopted the Practice Guide on Cross-Border Insolvency Cooperation into their Model Law. Unfortunately for Hanjin, China, Hong Kong, and Singapore are not members of UNCITRAL and one of Hanjin’s ships has been seized in Singapore by creditors. In an effort to gain legal protection for its ships, Hanjin filed a Chapter 15 petition in a U.S. bankruptcy court with plans to pursue legal action in approximately 10 countries and 43 jurisdictions as reported by Fortune on September 5, 2016. 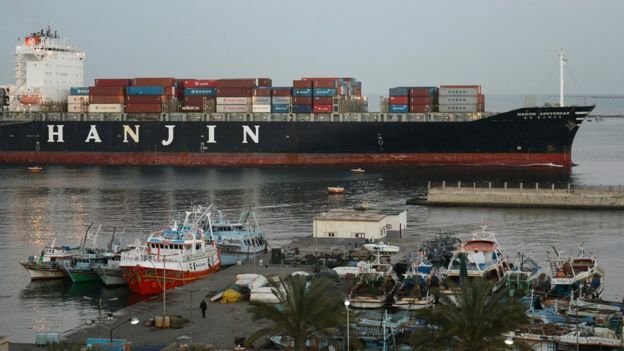 On September 6, 2016, BBC Business reported that South Korea’s government has said it might provide Hanjin with loans to keep the bankrupt shipping giant afloat. This is contingent upon Hanjin providing the necessary collateral. Just the news of this possibility rose the stock value of the company 20%. To keep this in perspective for our clients here in the United States, Hanjin accounts for 7.8% of trans-Pacific trade volume for the U.S. market. At present, Hianjin’s bankruptcy is causing delays of shipments in China of up to two weeks. Please keep this in mind when planning your delivery times and orders – especially with shipment levels increasing due to the Christmas season rush.